The combination of a stylish King XL duvet cover and a cozy King oversize comforter insert is a must for any King size bed. 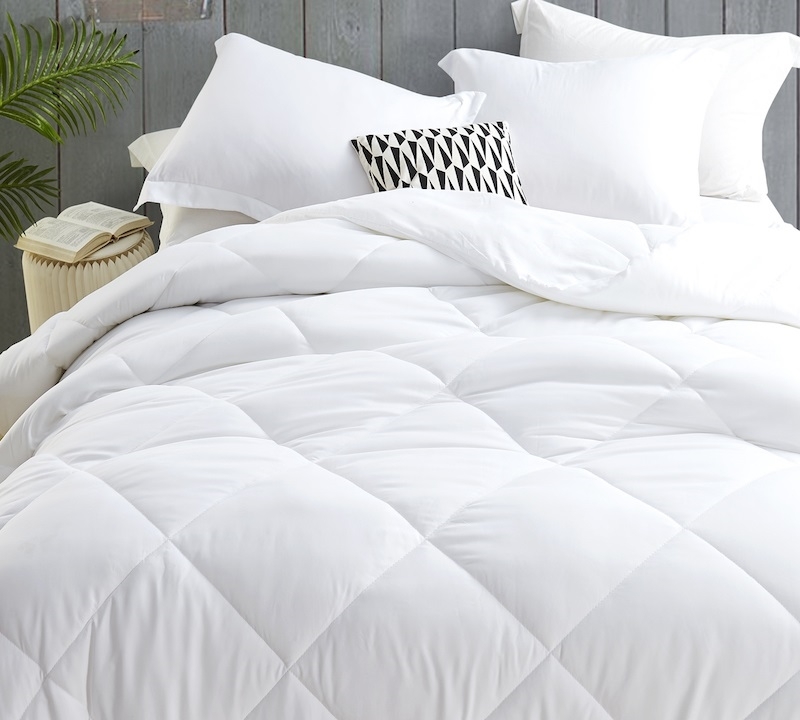 An oversized King duvet cover will help add extra style to your bedroom decor and a nice, cozy extra large King comforter will give you luxuriously comfy King bedding. But with the average sized King duvet cover being around 104" x 90", it can sometimes be hard to find the right sized King comforter insert. Luckily, at Byourbed, we want you to have the perfect King XL bedding setup! Our high quality Down Alternative - Ultra Cozy Duvet Insert - King (104" x 98") will be a nice fit into your 104" x 90" King duvet cover, allowing it to give you more cozy King bedding without bunching. Now you can have the stylish King XL duvet cover of your dreams and fill it with a cozy combination of microfiber and down alternative. This will make your King size bedding look and feel fantastic. Best of all, the low price for such luxury makes this a must have oversized King bedding item! Size: King XL Duvet Cover Insert - Oversized King XL (104" x 98"